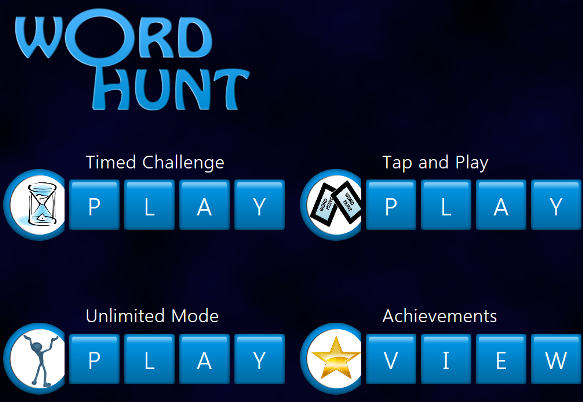 Word Hunt educational game in Windows 8 is a word search game with touch features first introduced with Windows 8 to players. 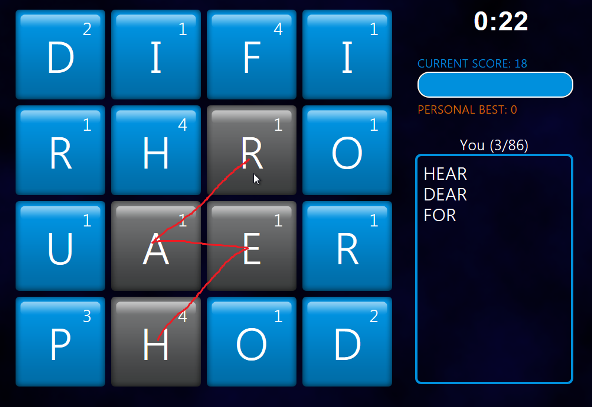 There is three plays within the Word Hunt Windows 8 game. There are Timed Challenge, Tap and Play and Unlimited Mode games. If you play Timed Challenge game, the board will be similar to below Windows 8 screenshot. The player should search for words that at least have 3 letters to get points and achieve high scrores. In order to complete a word that you search and found on the game board, place your finger on the first letter of the word. Here in this example letter "H" and then move from one letter to the other in order to form the found word using your finger or mouse.